Yesterday we went to Wal-Mart to grab some hot dogs and buns (we’re having a cookout this afternoon). My daughters went over and looked at the clothes, specifically at the patriotic shirts. 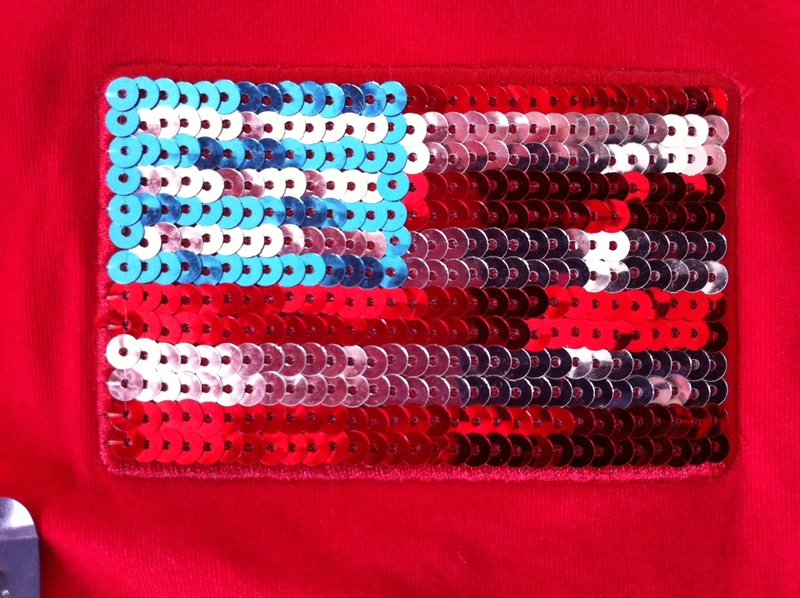 This one red shirt had the US flag sewn on the front in sequins. Very pretty. Then I thought about how bitterly sad it must have been for that poor, enslaved child to sit there sewing this symbol of freedom over and over again, when she herself does not (and probably will never) enjoy such freedom. Then I read this blog post by Peter Rollins which is at the same time the most radical position and the one necessary for Christians if they are going to be serious about following what Jesus taught, how he lived, and what his call in this verse means. Reflect this week on what ways the Spirit is calling you right now to take up your own instrument of self-sacrifice for the benefit of others (i.e., your cross). If you ask, the Spirit will point things out to you. Then you will probably need to ask for strength of will and courage to do those things.